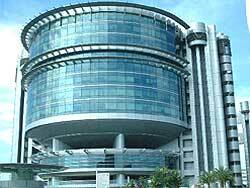 Singapore commercial properties for operation of companies and businesses in Singapore. Prices are determined by location and size. From the prestigious Shenton Way, Raffles Place area to Orchard Road, Jurong and Tuas industrial estates. Size ranges from a puny 100 square feet for shops, to mega compound of 50,000 square feets for factory and warehouse. Some buildings like the JTC ones are zoned for light or heavy industrial and restricted to certain industries only.